2PM is a South Korean boy band formed by JYP Entertainment. The current members are Jun. K, Nichkhun, Taecyeon, Junho, and Chansung. Their former member and leader left in 2010. 2PM debuted under JYP Entertainment on 4 September 2008. The members of 2PM were formerly known as the eleven-member band One Day. Eventually, the band was split into 2PM, and a similar but independent group known as 2AM. 2PM debuted with the song “10 Points Out of 10 Points” which showcased their acrobatic dancing and showed their beast-like character. Currently, 2PM is the most senior group under JYP Entertainment as 5 of 6 members continue their contracts. Taecyeon’s contract will be discussed following his military service. Hang Chansung (known as a Chansung) is the maknae of this 10-year-old South Korean boy group. Let’s find out more about Hwang Changsung! He studied at Korean Art High School and Howon University. 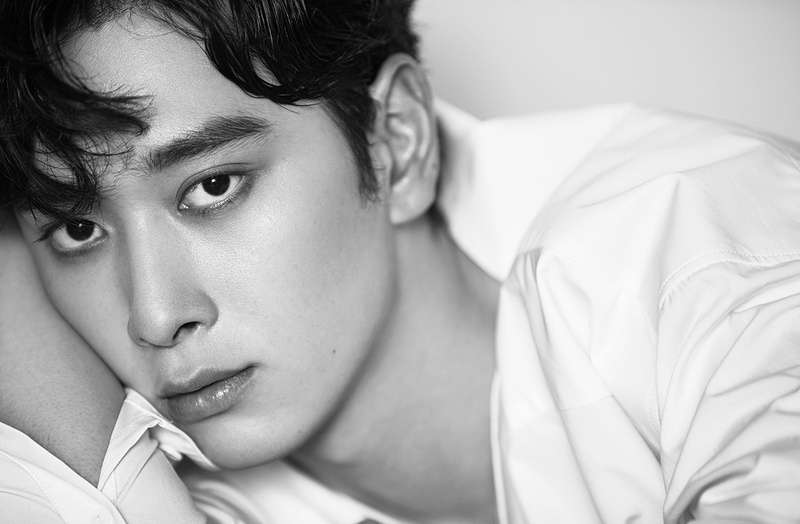 Before debuting with 2PM, Chansung was a television actor having played roles in MBC’s 2006 comedy “Unstoppable High Kick” and KBS2’s 2008 drama “Jungle Fish”. He later Participated in JYP‘s “Superstar Survival” in 2006, along with Taecyeon and Junho, but didn’t win. Junho was the winner at that time. Chansung then had auditioned again wasable to become a part of the final lineup for 2PM’s debut. Now, Chansung is a vocalist and rapper for 2PM. Before he debuted with 2PM, he was a model. He played a role in label-mate Joo’s MV for Bad Guy. Chansung learned martial arts such as Taekwondo and Kumdo (a modern Korean martial art descended from the Japanese martial art Kendo). He achieved high levels in both Taekwondo and Kumdo. He speaks Korean, intermediate Japanese, and basic English. He is able to carry out basic conversation in Japanese and English. 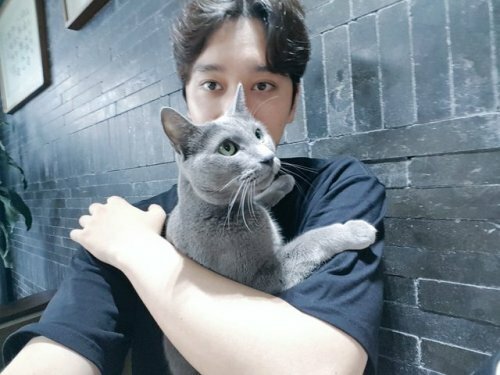 His cat Jeonggam has become famous in its own right, appearing on social media posts as well as on 2PM’s YouTube channel. Chansung prefers to sleep on the floor, he said it is more comfortable to do so. Chansung is the most bizarre member during sleep, like he sleepwalks. He’ll wake up right away if he smells food. He was also called an “Old Maknae” when 2PM made their debut. In January 2011, Chansung made a cameo in the television drama Dream High with his band mates Wooyoung, Taecyeon, Nichkhun and also their company’s CEO, Park Jin Young. His trainer told “Men’s Health” that it takes a lot of exercise to show any results on Chansung’s body. He often works out twice a day. Has a cat named Jeonggam. He felt insecure when he first joined 2PM because he couldn’t match his dance moves to the rhythm. His other hobbies are listening to music, gaming, and working out. He said that he likes all kind of foods because he’s not a picky eater. Chansung looks like an Italian person. Especially when he did a Tango dance in MAMA in 2008. He is a big fan of the comedy show “Gal Gal Ee”. Taecyeon and Chansung are the most powerful eaters in the group, they can eat 40 servings of shabu-shabu. Before he sleeps, he can eat 2 jumbo sized burgers. He also likes to eat bananas. Chansung is the strongest drinker in the group, although he is the maknae. He has a lot of Japanese fans because of his European-esque style. Chansung has had the most ex-girlfriends out of all the 2PM members. He was giving out and posting flyers as a part time job before his debut. When Chansung still had long hair, the other members were scared of him because they thought he looked like a crazy, old lady. Chansung choose Wonder Girl Yenny as the female version of him. Both of them are best friends. Because of his huge body and old-looking face, when 2PM debuted, the fans thought he was the leader and JayPark was the maknae. When they were still making their video Again and Again, Chansung was the member who was most focused on his diet. He said that 2PM, 2AM, and BEAST’s Doojong are his best friends. Chansung and Wooyoung always accompany Taecyeon when he’s practicing his role in Cinderella Sister, and Chansung always begging Taecyeon to give him a role as Eun Joo, but Tacyeon refuses because he think it would be ridiculous if Chansung was Eun Joo.